My husband and I have made it a good long while without caving to the pressure of Netflix. But when I heard that an original Anne of Green Gables adaptation was coming, I knew resistance was futile. So on the day of its premiere, when I also happened to have a free evening to myself, I started a Netflix free month trial and started watching Anne with an E – the first five episodes in that first evening, and then the remaining two the next day. As some of you know, I read Anne of Green Gables for the first time last year and fell in love with it. Mostly GILBERT, but I adore Anne too and all of Avonlea. I still haven’t seen the 1980s Anne of Green Gables mini-series everyone seems to love, but I definitely want to one day when I can get a hold of it (I did check Netflix, and it wasn’t there, sadly). As a newer fan, I felt it was easy for me to go into this series with an open mind, though there are definitely certain things that are important to me when looking at an Anne adaptation, which I think will become apparent as you read my thoughts on this series. My quick overall thoughts (in case you don’t feel like getting into my lengthy analysis below)… The show definitely has a darker tone and more modern sensibility than the wild-eye innocence feel of the books. There are a lot of deviations and for the first five episodes I was OK with this, but the last two episodes really left me disappointed. The show is beautifully shot. Like ridiculously beautifully shot. The media production major in me definitely admires the aesthetic of the show. For the first five episodes, the characters feel true to their original selves. Even though there are a lot of story deviations, the characters still feel the same. For the most part, you can believe these are sort of lost tales of Anne’s life that Montgomery did not share with us. This changes somewhat by episode six and a lot by episode seven. I’ll get into this more later. The acting is A++++++++. I don’t think I’ve seen any of these actors/actresses in anything else but they are all so crazy good. They feel just like the characters. And GILBERT. OH MY GOODNESS. So until we meet Gilbert in episode 3, Matthew was my favorite, because he is so fantastic, but GILBERT. For episodes 3-5, this Gilbert is so stinking wonderful and kind and adorable and everything you want Gilbert Blythe to be. Below I will get into spoilers of how a story arc changes his character in episode 6. I still like him a lot, but he does feel different at that point. Anne is definitely not the only character who gets a focus on her tragic backstory. 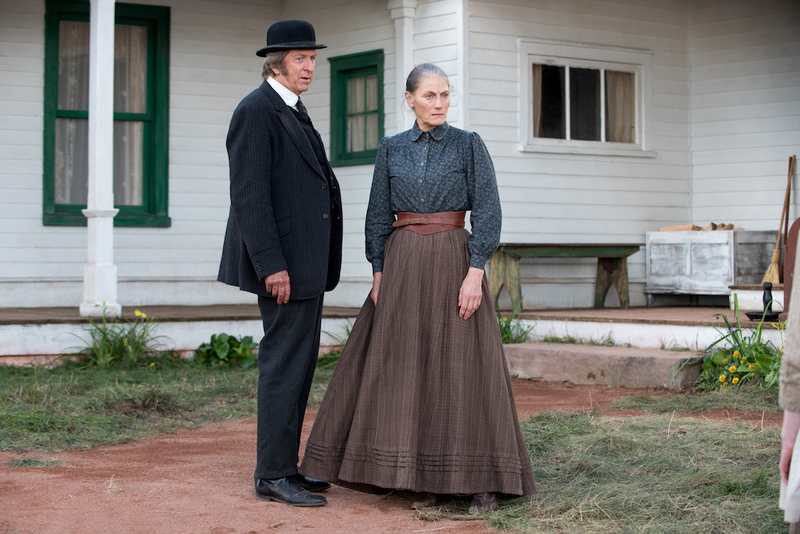 We delve into the psyches of Marilla, Matthew, and others. This would sometimes add some nice depth, but sometimes it felt a bit unnecessary and detracted from the strength of the original source. 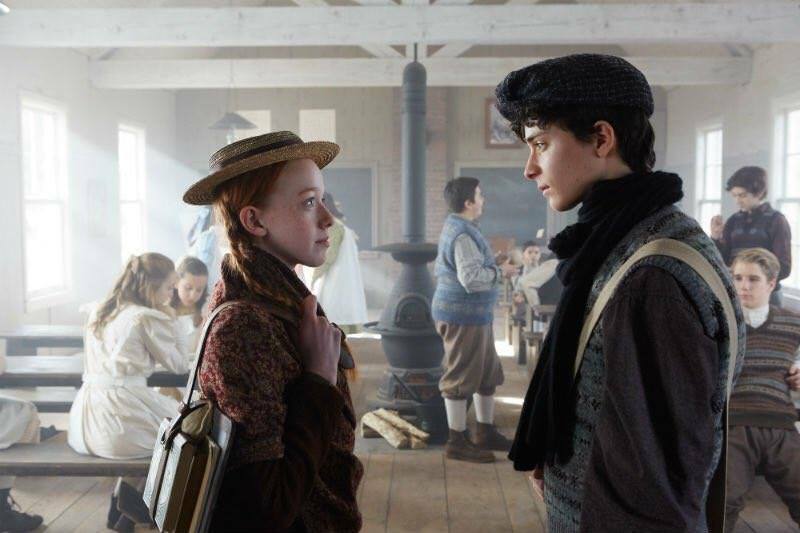 This show is a lot darker, and some of that is OK. We get flashbacks into Anne’s past and see how it actually affects her day by day, which makes it seem like real trauma. In the books she alludes to the bad stuff she had to go through in the past, but it just mostly rolls off her like water on a duck’s back. In this adaptation we see how this impacts her conversations with others, as well as just the very painful memories she relives in her mind. But then as if that’s not enough, there’s more. There’s attempted kidnapping, possible attempted assault, actual physical assault and thievery, and then everyone in Avonlea is so much more openly hostile to Anne in this adaptation than they were in the book. Billy Andrews is especially quite the villain who repeatedly calls Anne a dog (thankfully just a dog, not another word associated with dogs, but still very terrible). And while I remember her first teacher in Avonlea not being all that great, this one is just downright horrible. He treats Anne, really most of the class, like trash, in addition to just being a bad teacher. And then the minister, ugh! He’s portrayed all wrong for no real reason. Sometimes, I feel there’s just a little too much of the bad, when the books focused so much more on the good. Which leads me to my next point, that there’s a little too much modern sensibility thrown in, in my opinion. It’s one thing to talk about Anne’s first period (which was really funny but also pretty poignant and well-done), and it’s one thing for the mothers to talk about educational rights for women, but when a character literally said, “Feminism. What a wonderful word,” it’s actually kind of eye-rolling instead of empowering like I think was the intent. Way to be super on-the-nose. Just like the aforementioned dark aspects of the show, the attempt to bring in a little more progressive thinking in Avonlea is taken just slightly farther than I felt it needed to be. While I didn’t love everything in episodes 1-5, I was still really enjoying everything overall. This started to change with episode 6, and then 7 crashed and burned it. In episode 6, Gilbert’s father dies. We learn earlier in the series that his father is ill and his mother is apparently already dead. This bothered me because it was so different from the books, but what made it turn from something annoying to something I absolutely hated was when it changed Gilbert as a character. It makes him much moodier, which he has every right to be under the circumstances, but the circumstances shouldn’t exist to completely change his character. It’s obviously added for drama or tension or whatever. Heaven forbid Gilbert just have a wholesome family life. I guess it’s a shortcut way to get Anne to relate with him better, but that feels really cheap to me. It also forces him to have to quit school to work which is just like WHAAAAAAT EVEN. I don’t even know how to explain in coherent words how that makes me feel. Mostly, it just feels wrong. In episode 7, Matthew has his heart attack but doesn’t die (I wouldn’t be surprised if he does in season two though). But he bemoans how, because of their financial woes, it would be better for Anne and Marilla if he was dead so they can get his life insurance, and at one point HE GETS OUT HIS GUN AND IS READY TO COMMIT SUICIDE. People, this is not Matthew Cuthbert. He would NEVER do that. Thankfully, his lady friend from the dress shop/his former love interest from school? shows up and stops him. But seriously, WHY. The show was dark enough without going that far. And then the way episode 7 ends is truly bizarre, and I’m surprised I haven’t seen anyone else on the Internet talk about this yet. So earlier in the episode, Anne and their hired farmhand Jerry go into town to sell some things. Jerry, separate from Anne, sells one of the horses. As soon as the buyer walks away and Jerry puts the money in his pocket, these two ruffians beat him up and take the money. Later, we see them noticing an ad for a room available to rent at Green Gables, and at the end of the episode, they both arrive there, separately, to live. This already seems like a weird subplot to have, but it got weirder when the second one who arrives acts like he is attracted to Anne, and she acts the same towards him, BUT HE IS GROWN AND AT LEAST TWICE HER AGE. Maybe I COMPLETELY misread the looks but all the acting had been so consistently great throughout the series that I have a hard time believing that I suddenly misinterpreted what was being shown to me. And then after their exchange, it just ends. It makes ZERO sense for an ending, even for one that is suppose to leave room for more because it makes me sick to my stomach rather than eager for more. If you’ve watched the entire show, PLEASE let me know how you interpreted the end and how it makes you feel. I need to know if I either completely misunderstood or that I’m alone or crazy in my feelings about it. As you can see, I have very mixed feelings about the series. It started off promising, even with the deviations, but at the end, the changes did more harm than good in my mind. I wish I could better understand the intent of the series writers, and if they truly interpret Montgomery’s work this way or just felt like being edgy. Because personally, I feel Montgomery’s intent was misunderstood. On Twitter I saw where someone described this series as a dystopia version of Anne of Green Gables. That’s actually a pretty good way to describe it. Every aspect of the story is cranked up to an 11 in terms of harsh realities. I think a little bit could have been sprinkled in without going to such an extreme. The original story is a coming-of-age tale I can’t wait to share with my future children, but this version I wouldn’t share with anyone under 12, with so much of the wonder taken away and replaced with grit. Have you seen Anne with an E? What are your thoughts on the series, and what’s your previous Anne history? The sound of a dystopian AOGG makes me feel sad. Part of what I love is the innocence, giddiness and light-heartedness of it. I have added the show to my Netflix queue, and I was over the moon on Friday when I saw it appear. I’m lowering my expectations a bit now. Love your thoughts on it and looking forward to checking it out for myself. I’ll be curious to hear your thoughts when you see it! Link to my spoiler-free review is below. I hope you’re right about the mutual recognition! The Matthew thing was the worst, I agree! I’ll check out your review soon! One of my favorite things about AoGG was how beautiful and optimistic it was. Her view on life was just so lovely. I’m not sure how I’d feel about a darker version. I would still like to watch it at some point. Now I’ll go into it with everything you’ve said it mind. I’d love to see a comparison of the 80’s mini series when you watch it! When I watch the 1980s version I’ll be sure to post my thoughts! I’ve seen a lot of mixed reactions to the series… Some say that it’s the adaptation we needed and some hate it with a passion for all its changes and grit. I do fall more in the middle of all that, able to accept and even like some of the changes, but overall it did feel like it went too far. I haven’t seen this and I haven’t read the books. I’m curious if you’d recommend me to watch it if I’m interested (because I’m always randomly binging things on Netflix), or if you would suggest staying away at least until the books are read (which tbh I’m not quite sure when will happen)? I would say watch the first episode and see what you think! The story definitely progresses down a darker path throughout the season, but the first episode will at least familiarize you with the characters and the basis of the story. I just finished the series and like you I was baffled by the last episode especially. I read the book as a child so I was at first unsure if I just remembered the books as light hearted and happy rather than gritty but I actually started rereading the book and realized I wasn’t off, the series is just darker. The boarder subplot already bothers me…but like you I really loved some aspects of the series! It almost would be easier to hate or love all of it, wouldn’t it? When I talk to people about it I warn them of the tone and changes but think if they want to watch it, they should and decide for themselves. Though I have told friends not to show to their young kids… it sadly doesn’t seem appropriate for them like the book. I’m a man who never read the book or saw the 1985 version. This Anne with an E won me in less than 15 minutes. It’s both poignant and riveting. I watched all episodes in one day. Couldn’t stop watching. Never do that before. I am happy that I can’t compare it to the book or another series. I can really appreciate it for what it is. One of the best series, if not the best, that I saw in years. I’m glad you really enjoyed it! I think I would have been happier with it too if I didn’t know the books, because it is so well done. I’ve always been an Anne of Green Gables fan, watching the 1980’s series as a child and watching almost every other series created since. I just finished watching this Netflix series and my sentiments are very similar to yours. I HATED episode 7. the ending made me sick to my stomach. it is wretched and horrible. My 9 year old daughter was very upset through episode 7. it was ugly and unnecessary. I just pray that the Cuthberts put the money into the bank before the two thugs showed up. If Season 2 starts with the two thugs robbing or hurting Anne or the Cuthberts, then I’m done with this series. I can’t believe they would trash such a wonderful show (We LOVED episodes 1-5) with the last episode… and then leave us hanging like that. Shame on you, writers. 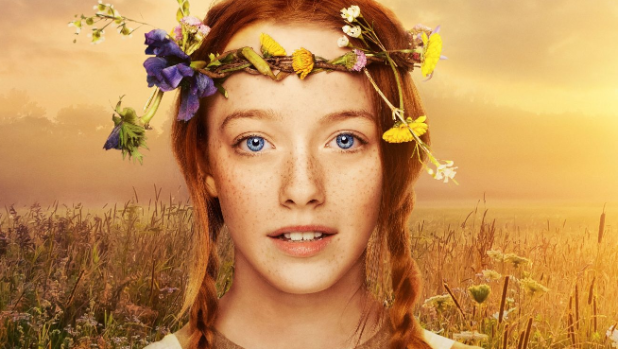 I can’t imagine watching this adaptation of Anne as a nine-year-old, which is just sad because Anne’s story should be for all ages. I will probably wait to hear some reaction about season two before watching it.